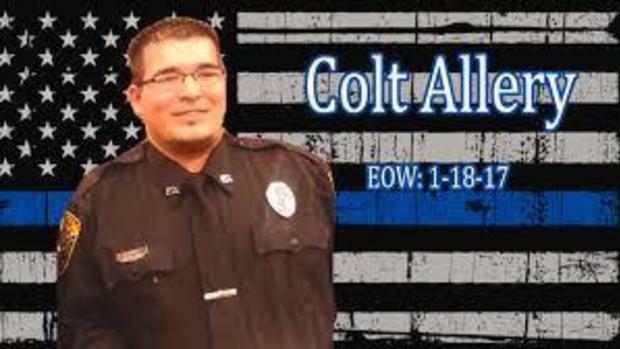 The man that shot and killed Rolette County Deputy Colt Allery was dressed in nearly all black and wearing a cap that said ‘Police’. “There was a black colored hat that said “Police” on passenger side seat. The cap appeared to be full of blood and brain matter. The hat appeared to be on MELVIN DELONG’s head when MELVIN DELONG was shot,” BCI records said. Delong was also wearing an inordinate amount of clothing including two pairs of socks, which is sometimes an indication a person is going to commit a crime and then quickly change out the clothes so they don’t match a description. “The deceased Native American male was clothed in blue jeans with a black belt, a black zip up jacket, black T-shirt, black hooded sweatshirt, black underwear, black long underwear, gray and black gym shorts, black undershirt, white socks, black socks, a blue, gray, and white plaid button up shirt, and brown pull-on boots,” the BCI said. 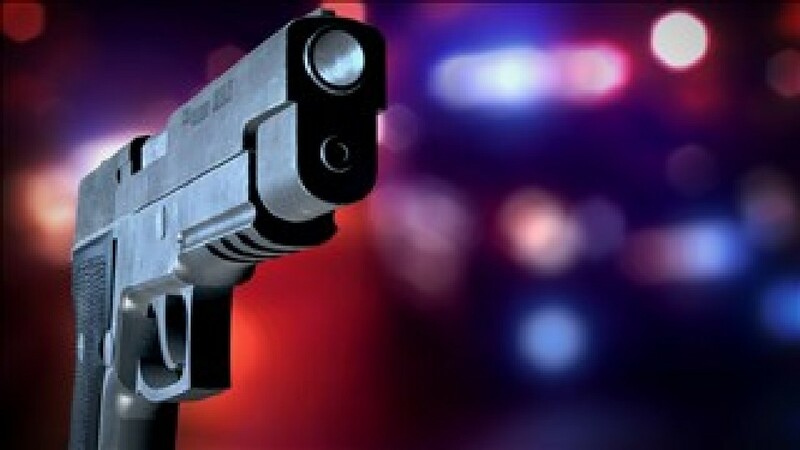 “The Department of Alcohol, Tobacco, and Firearms is continuing the investigation into the firearm utilized by MELVIN DELONG. The investigation into the persons involved in assisting MELVIN DELONG with stealing the pickup in Devils Lake, North Dakota, also continues,” BCI records say. The FBI and federal agencies already knew Delong. “On July 30, 2013, Melvin DeLong, 25, Belcourt, North Dakota, pleaded guilty to two counts of assault with a dangerous weapon. On October 21, 2013, Melvin DeLong was sentenced by U.S. District Judge Daniel L. Hovland to serve two years and nine months in federal prison, to be followed by three years of supervised release,” said the U.S. Attorney’s Office in Bismarck. Fargo Friendly Fire Cover Up: What was in the bag, Mr. Burdick? Tags: BCI, Birch Burdick, Doug Burgum, Fake News, Fargo News, Fargo Police Department, Marcus Schumacher, Michelle Schumacher, Moszer coin, Moszer shooting, Moszer shooting cover up, North Dakota News, Police Shooting, Wayne Stenehjem, WDAY-TV, who shot jason moszer? 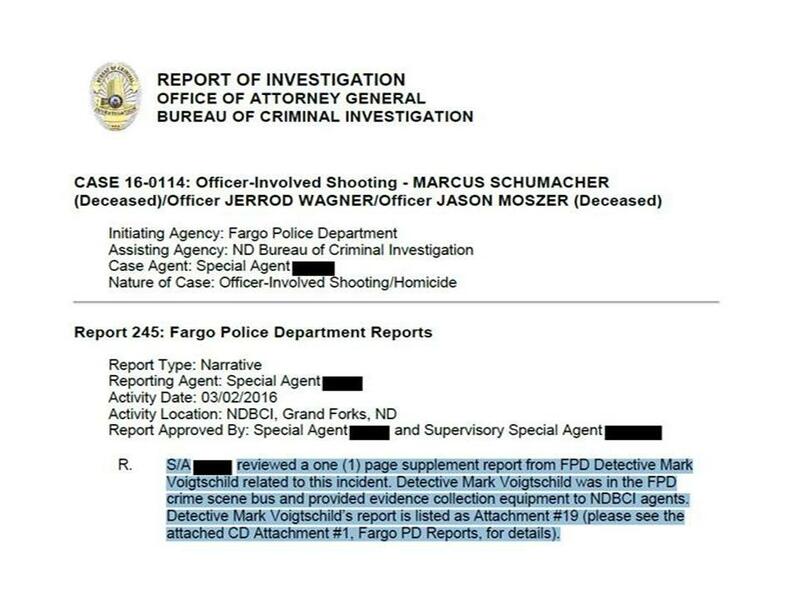 Is Cass County States Attorney Birch Burdick actively conspiring with the North Dakota Bureau of Criminal Investigation to conceal the truth about who really shot and killed Fargo Police Officer Jason Moszer? On March 26, 2016 WDAY interviewed Burdick and reported he reviewed all the evidence in the Moszer shooting case. “Cass County State’s Attorney Birch Burdick reviewed everything documented from the night of the stand-off,” WDAY reported. That means Burdick and Write Into Action are on the same page because we’re looking at the same documents (except Burdick’s are not redacted). S/A [REDACTED BY BCI] reviewed a one (1) page supplement report from FPD Detective Mark Voigtschild related to this incident. Detective Mark Voigtschild was in the FPD crime scene bus and provided evidence collection equipment to NDBCI agents. Detective Mark Voigtschild’s report is listed as Attachment #19 (please see the attached CD Attachment #1, Fargo PD Reports, for details). 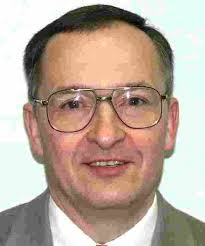 The BCI agent reviewed Attachment #19, which was involved Detective Mark Voigtschild. Let’s take a look at Attachment #19. 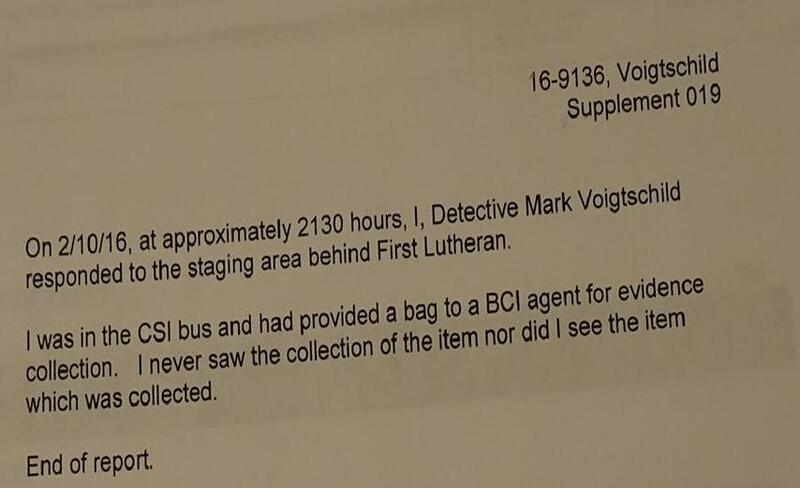 On 02/10/16, at approximately 2130 hours (9:30 P.M.), I, Detective Voigtschild, responded to the staging area behind First Lutheran. I was in the CSI bus and had provided a bag to a BCI agent for evidence collection. I never saw the collection of the item nor did I see the item which was collected. Yesterday, I reported my journalistic investigation into the Moszer/Schumacher shooting will reveal who really shot Officer Moszer and will be released once it’s completed for publication. But here are a few things to think about regarding the aforementioned documents. But – it was handed to a BCI agent four minutes after Officer Moszer’s mortally wounded body was removed from the alley. 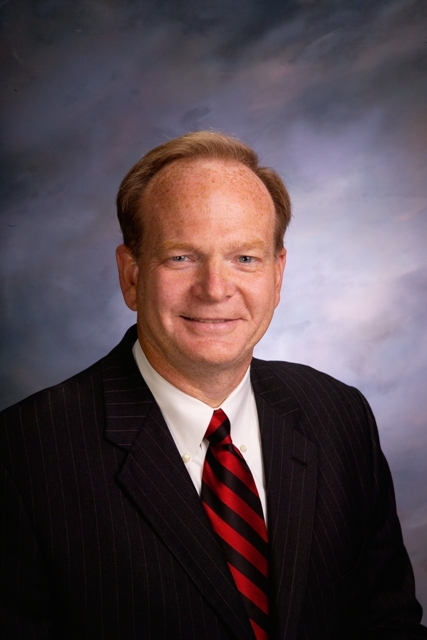 Mr. Burdick – please do the right thing and tell the public what happened so I don’t have to do it. 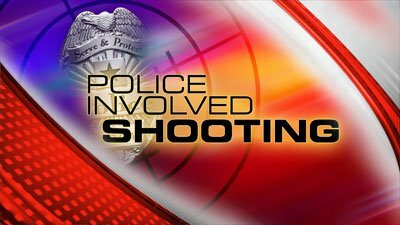 Fargo police shooting a friendly fire cover-up? UPDATE: I was contacted by Cass County States Attorney Birch Burdick and Forum Communications following my initial press release. We are now at the next step. 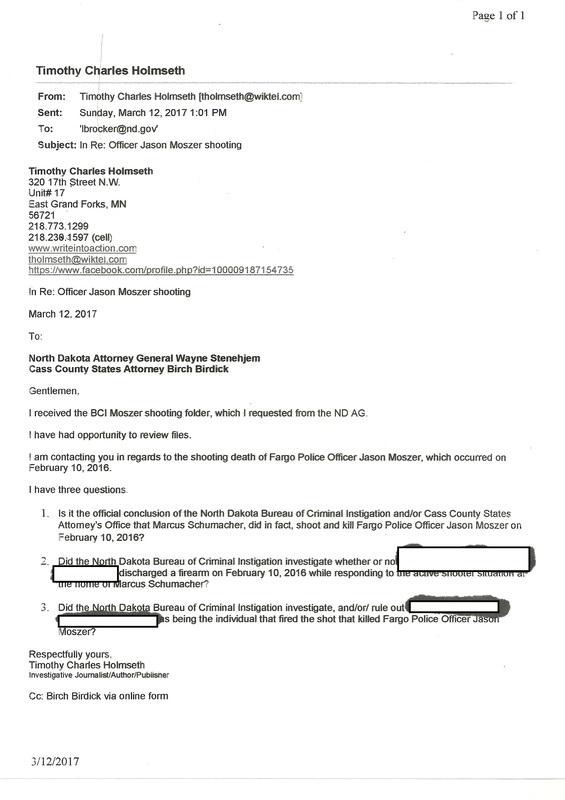 I have confronted the before-mentioned regarding televised statements by WDAY regarding Attorney Burdick saying Marcus Schumacher killed Fargo Police Officer Jason Moszer. Do you believe WDAY’s reporting is true? Do believe Attorney Burdick make that statement? Do you believe Marcus Schumacher is the person that shot Officer Moszer? Or, was WDAY’s reporting what Donald Trump would call “very fake news”? Grand Forks County States Attorney David Jones and N.D. Attorney General Wayne Stenehjem have betrayed the public. Jones and Stenehjem are providing cover for what appears to be a crime syndicate. On February 27, 2015, at 10:11 P.M., the Grand Forks Police Department (GFPD) responded to the residence of Caitlin Jenna Erickson. The young mother was dead – the autopsy stated the Cause of Death was “multidrug and ethanol toxicity” – Manner of Death was “undetermined”. GFPD police reports reveal Erickson had a history of using “pain medication” and a “small baggie of pills” was located on her kitchen counter. Erickson’s death was quickly dismissed by the GFPD as nothing suspicious. Erickson’s last day had been spent with a man named Mario Parson, visiting a pawn shop, and desperately attempting to come up with some money for someone. Parson claimed he left Erickson at her apartment for a short period of time to take care of some business that involved money. He told police that when he returned, Erickson was unconscious – and could not be saved. Erickson’s neighbor, Desiree Gomez, told police she heard Erickson and Parson arguing in the bathroom amidst loud banging sounds and the shower turning off and on. Parson’s story did not even remotely match the evidence. The GFPD’s fake investigation was a joke. On February 27, 2015, at 10:41 P.M., a cleaning lady at Wells Fargo Bank in Grand Forks called the police to report a vehicle was parked in the bank parking lot and had been there for quite some time. When Grand Forks police officer Dan Harvala arrived at Wells Fargo, the pick-up truck drove away. Harvala attempted the pull the vehicle over for running a stop sign a few minutes later and the vehicle fled at high speeds. For the next two hours, David James Elliott, the driver of the pick-up truck, having now called ‘911’ himself, stayed on the telephone with Grand Forks police officer Matthew Bullinger, as he (Elliott) drove up and down (north and south) I-29 with law enforcement following him. Elliott told the 911 operator that he knew Bullinger. Elliott told Bullinger he had gone to Wells Fargo to put money in his wife’s bank account and then parked in the lot as he pondered suicide. Bullinger told Elliott he regretted the chase had ensued. “We didn’t know what was going when we started chasing you. For all we know you could have murdered someone,” Bullinger said. Elliott told Bullinger he was committing suicide. He claimed he wanted the police to just leave him alone so he could die. While professing a desire to die, Elliott was simultaneously expressing dire fear that he was being followed by former Walsh County Sheriff, Lauren Wild. Elliott told Bullinger that Wild is a corrupt and very dangerous cop. North Dakota Bureau of Criminal Investigation (BCI) files show investigators found “thousands” of pills in Elliott’s truck after the shooting. BCI Special Agent Michael Ness told David Elliott’s wife, Jennifer Elliott, “We found three bags of pills”. No charges were ever filed against anyone regarding the pills. According to Jennifer Elliott during her interview with the BCI, the pain medications her husband possessed were all coming from Altru doctors. “He gets it all from doctors. It’s all coming from doctors at Altru,” she said. Jennifer Elliott described her interactions with Altru. “He keeps coming here and you (Barb Norman) keep prescribing stuff – so I said what’s your plan – what’s your plan here what were going to come here every three months and your going sit and go oh you need this one – okay we’ll print that one – what else do you need? Oh you out of this one? Oh okay were going to print that one. Okay and after sitting and watching her do that for twenty minutes I start to argue with her and say what’s your plan – do you have a plan here for him more than just to give out drugs,” Jennifer Elliott said. Jennifer Elliott expressed dismay that Altru was prescribing David Elliott “morphine” for headaches. At the end of the bizarre pursuit, David Elliott was inexplicably shot in front of the Altru Hospital Emergency Room by a rookie UND police officer named Jerad Braaten. Jennifer Elliott told BCI agents that “Lauren Wild” is a friend of their family. She said after the shooting, Lauren Wild claimed he knew Braaten, and that Braaten had worked for the Grafton Police Department but was asked to leave. Another oddity regarding the pursuit is the fact David Elliott told Write Into Action that a vehicle from the U.S. Border Patrol was also following him. Write Into Action’s independent investigation has been met with non-stop obstacles and barriers put up by the Grand Forks Police Department, University of North Dakota Police, and North Dakota Bureau of Criminal Investigation. 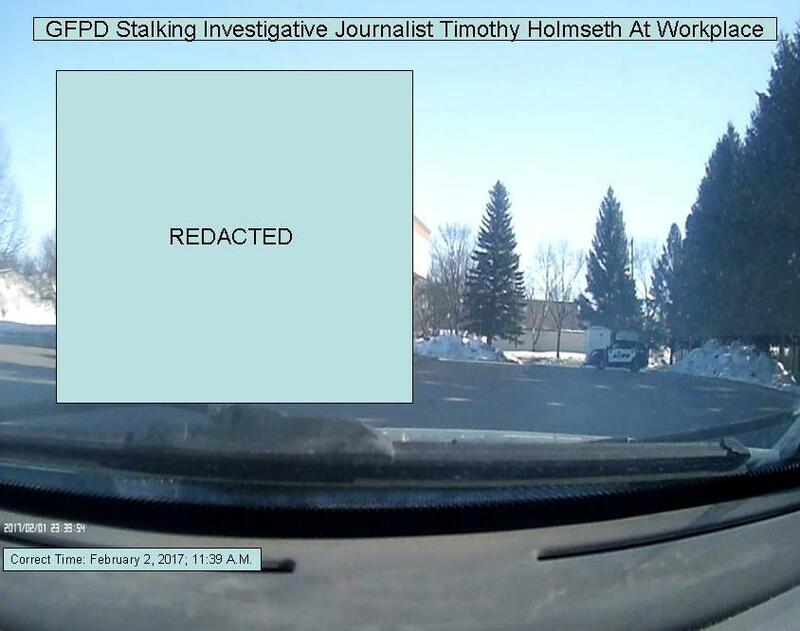 Write Into Action received police body-cam video from the GFPD that was highly redacted by a Keeper of Records that cited no statute for the redactions. 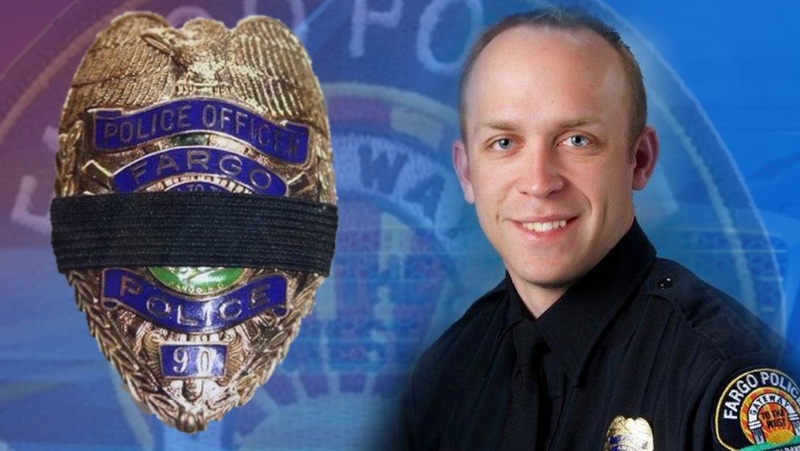 Some of the GFPD dash-cam’s properties were altered to change color video to black and white at the most critical moments of the police shooting. GFPD Chief Mark Nelson issued a ‘Special Order’ changing the Departments retention dates of police-cam evidence so the video could be destroyed. Grand Forks PSAP would not provide Write Into Action the audio of David Elliott’s two hour 911 call – offering only transcriptions of the call at a fee that would have likely reached nearly two thousands dollars. Grand Forks County PSAP has now deleted the 911 call. The Grand Forks County States Attorney’s Office told the Grand Forks Police Department to destroy records associated with the case. Write Into Action has obtained the David Elliott 911 call from the BCI. It was obtained only after proving its existence using BCI interviews where the audio was mentioned as being in BCI evidence. Using available audio and video from GFPD dash-cam, Jerad Braaten’s body cam (which only captured audio and was found hidden under his car after the shooting), and the 911 call, Write Into Action produced a new video. The video will show evidence that supports David Elliott’s claim to Write Into Action that Jerad Braaten attempted to shoot him several minutes before the actual shooting, while atop the Columbia Road Bridge – but his gun jammed. The viewer will hear Braaten cynically and menacingly say, “I’m going to get in front of him and see if he rams our vehicle”. Write Into Action then identifies the point where Braaten pulls the trigger but the weapon does not fire. A few seconds later he can be heard ejecting the jammed round. Evidence shows every law enforcement agency involved in this event conspired to hide from the truth from the public. Visit www.writeintoaction.com for many other detailed stories regarding this case that show North Dakota law enforcement and other major entities are conspiring against their own community.